Black cumin (Nigella Sativa) is an annual flowering plant and the seeds are dark, thin, and crescent-shaped when whole. The seeds have been used for many centuries in the Middle East, the Mediterranean and India. Today, black cumin seeds are used as a seasoning spice in different cuisines across the world due to their nutty flavor. Besides their culinary uses, black cumin seeds also have a wealth of important health benefits and are one of the most cherished medicinal seeds in history. Black cumin seeds have a particularly long and strong history use in Egypt. When archaeologists found and examined the tomb of Egyptian boy-king Tutankhamen (King Tut), they found a bottle of black cumin oil, which suggested that it was believed to be needed in the afterlife. The Book of Isaiah in the Old Testament records the use of black cumin seed. 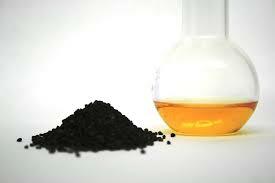 The seeds of the black cumin plant contain over 100 chemical compounds, including some yet to be identified. In addition to what is believed to be the primary active ingredient, crystalline nigellone, black cumin seeds contain: thymoquinone, beta sitosterol, and vitamins B1, B2, B3, folate, calcium, iron, copper, zinc, and phosphorous. A very interesting study found that nigellone is a very effective remedy for allergies by inhibiting histamine release. A search on Pubmed.gov, the government website that records the vast majority of research articles in the last 150 years, reveals over 500 studies on Nigella Sativa. 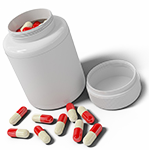 Benefits are noted in diabetes, cancer, and autoimmune conditions. In fact, there are nine studies on black cumin seed in pancreatic cancer alone! It is also a natural immune booster and excellent for allergies, as noted above. Why does a cardiologist care about black cumin? 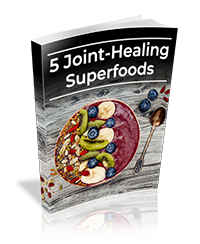 Number 4 is especially appealing, given the fact that it is the damaged (oxidized) LDL particles that are avidly targeted by the immune system and linked to heart attack risk. Our favorite brand is Living Tree, but also check out the website of our friend, Roby Mitchell MD, at DrFitt.com, for his branded seed oil. Dr. Mitchell believes that the black cumin seed exerts most benefits due to its antifungal nature. Combine all ingredients into a glass jar and shake vigorously. Combine ingredients in large bowl and toss to coat evenly. Transfer to a baking dish and cook at 400 degrees for 30 minutes. Dip the cauliflower in the Tahini/Black Cumin Oil Dressing.